Here is a list of some commands you will definitely find useful while developing with Laravel. key: generate Generate a secure application key. session: table Generate a migration for the sessions database table. 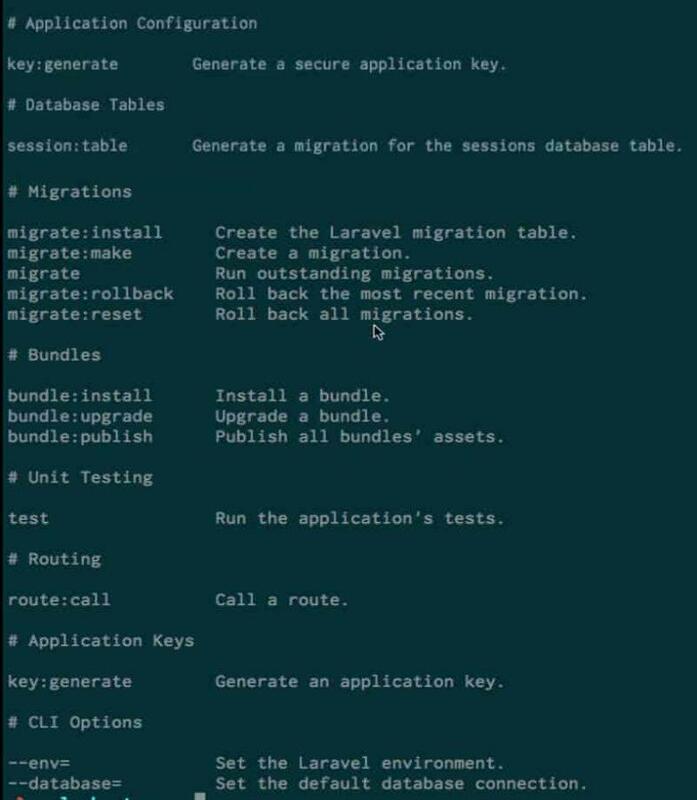 migrate:install Create the Laravel migration table. migrate:rollback Roll back the most recent migration. migrate:reset Roll back all migrations. bundle: install Install a bundle. bundle: upgrade Upgrade a bundle. bundle: publish Publish all bundles assets. test Run the application’s tests. key:generate Generate an application key. –env– Set the Laravel environment. –database= Set the default database connection.